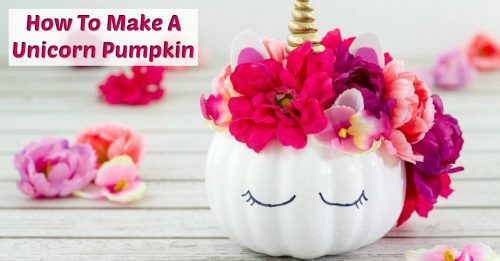 Want new ideas for Halloween pumpkin decorating? 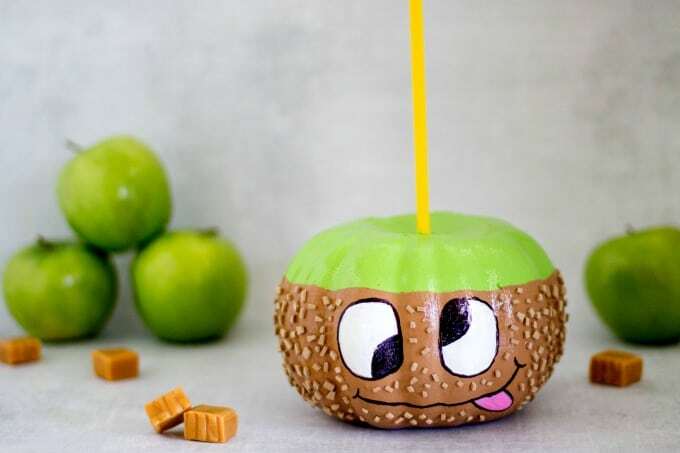 You may not be able to eat this silly caramel apple pumpkin but it’s still pretty fun to make! 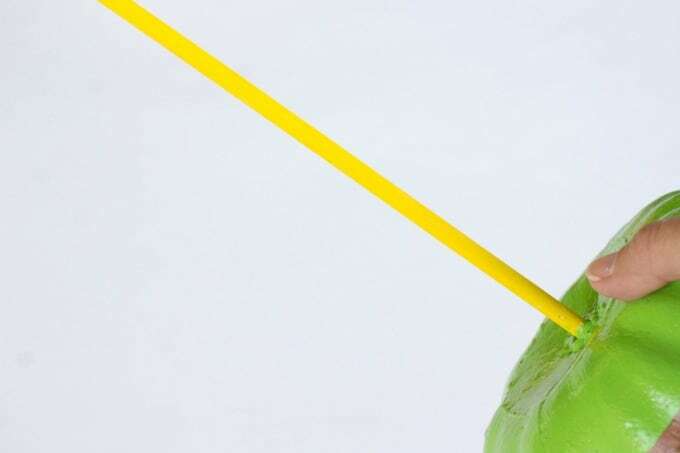 This post contains affiliate links to help you find the products you need to make this craft. 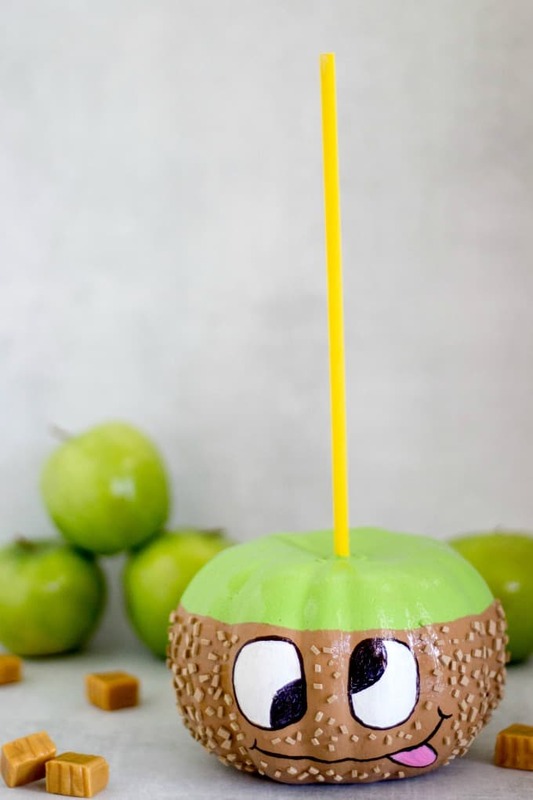 Like all my other pumpkins, this caramel apple pumpkin is super easy and inexpensive to make. Ready to get started? 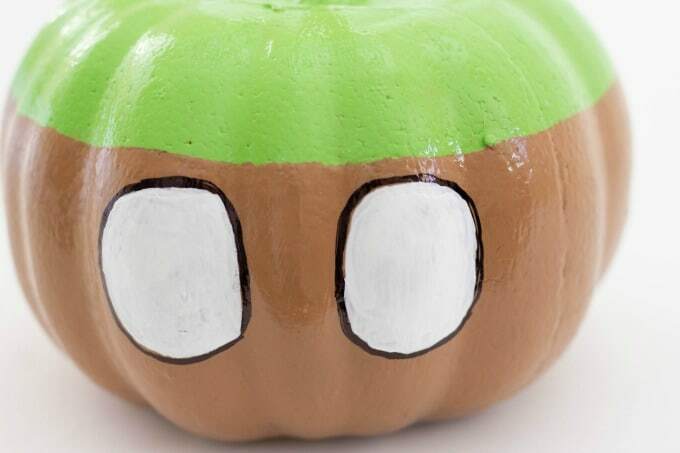 Paint the pumpkin green and let it dry. You may need two coats. 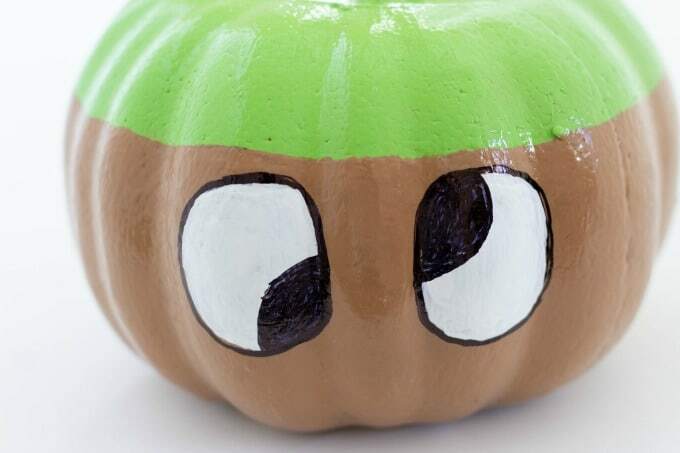 Once the green paint has dried, paint 3/4 of the pumpkin with light brown paint. Use a black marker to add eyes. Don’t worry if you mess up and have to correct it. You’ll just be painting over them on the inside anyway. Fill in the eyes with white paint. Use a black marker to make cute googly eyes. 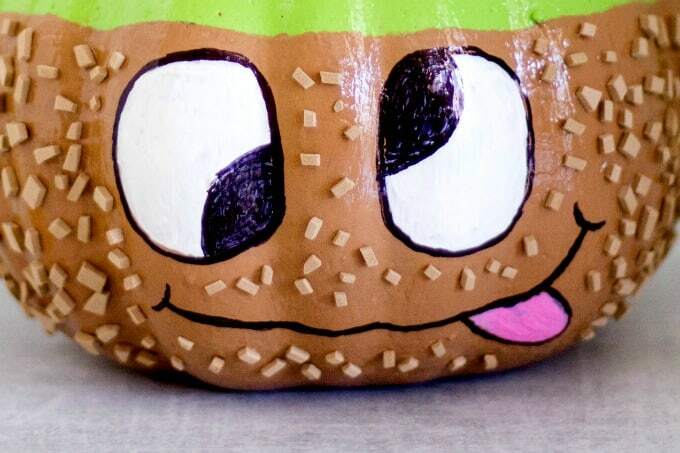 Next, use a black marker to draw the mouth and tongue, then paint the tongue pink. 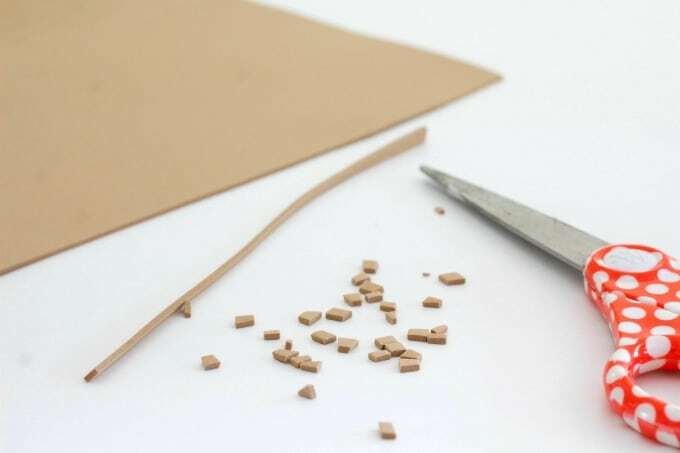 Cut light brown foam into small pieces that resemble broken nuts. I just cut a crooked strip off the edge, then cut that into smaller pieces. 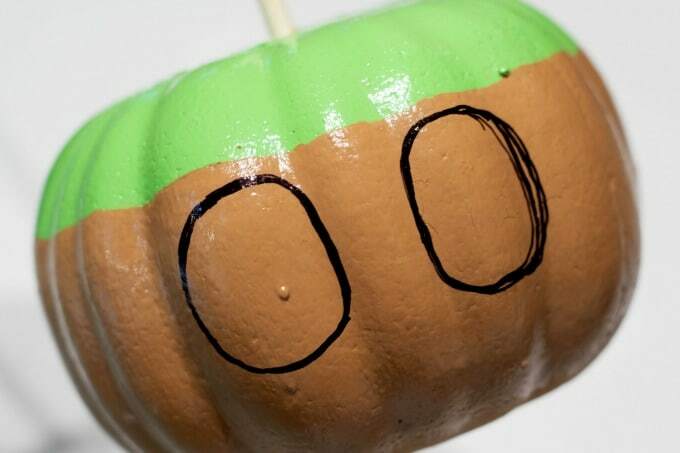 Use Mod Podge to glue the nuts to the caramel apple pumpkin. 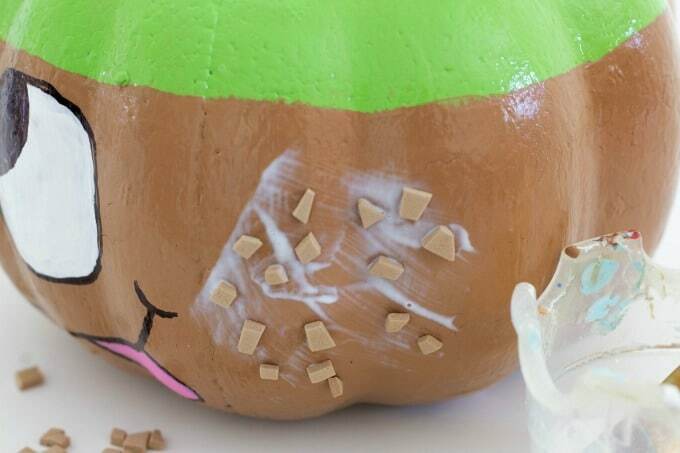 I did a section at a time so the glue wouldn’t dry before I added the “nuts”. 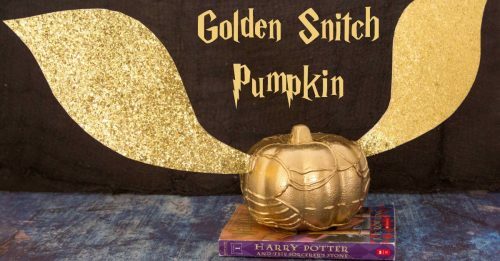 Paint the stick yellow, poke it into the pumpkin and secure with hot glue. 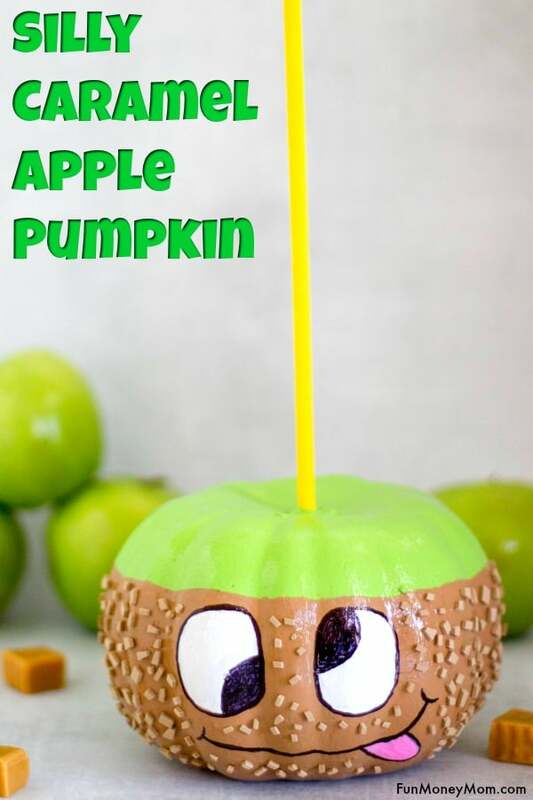 Now you have a super cute caramel apple pumpkin! 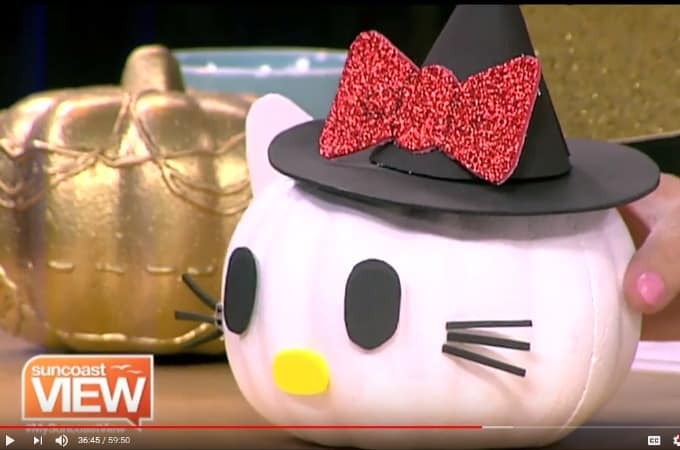 It makes perfect fall, or Halloween, decor. 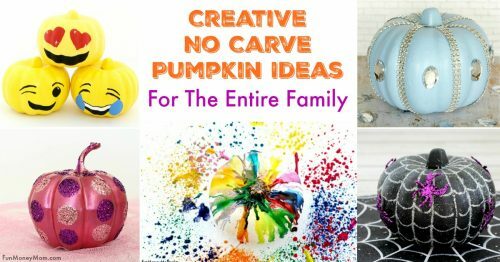 I love these little foam pumpkins because there’s so much you can make with them. 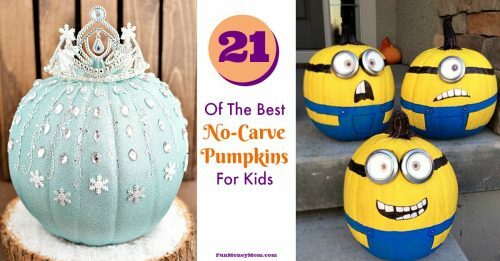 I’ve made everything from emoji pumpkins to Cinderella pumpkins. What would you make?